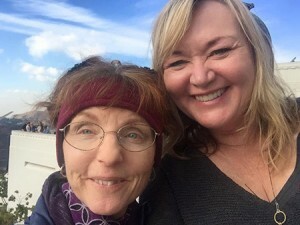 Message: In memory of Suzanne Dinkfeld (pictured on the left), dear life-long friend to our sweet, good friend Laura McHolm (pictured on the right). We are all connected in this life, as friends-turned-family and passionate animal lovers… May LOVE soften the grief, and may Suzanne be at PEACE. From: Joe, Sandra and Monique Quintero.